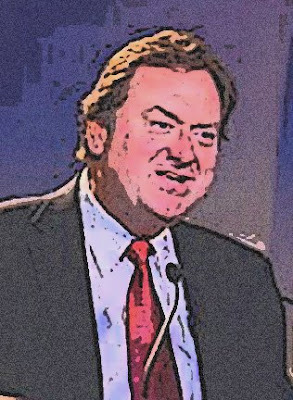 My hero Tim Russert died yesterday. How can that be? I couldn't even post until now, I was so upset. My boss at the pool (where I lifeguard) called me down from my chair and told me. "You must be mistaken," I said. I just saw him last week on Meet the Press, and he looked just fine. He had just gotten back from Italy, where he and his family were celebrating his son's graduation. Then he just dropped dead. At work. My boss just shook his head, and said, "I'm sorry." Everyone knows how much I admire Mr. Russert--he's all I talk about. And I always will love the guy. He's the gold standard of political journalism--actually all journalism. Later, when I saw the tape of Tom Brokaw announcing TR's death, then I knew for sure he was gone. This is just too hard for me right now.